We have been open as a brick & mortar for 2 years. We have a little bit of something for everyone. We like to help people create a beautiful home and life. Our main focus is on furniture, home decor, we sell four different brands of chalk type paints, we hold different creative classes. We have added clothing to our store in the last year..which has been a big success. We have some vendors who have “booth” space and we do some consignments. We are for sure more like a boutique than an antique mall. What is your strength as a shopkeeper? What is your weakness as a shopkeeper? What’s your top piece of advice to anyone who wants to open up a shop like yours? Don’t do it! No, just plan to spend more time than you ever imagined getting up and running. Be choosy with who and what products you bring in. Always go with your gut instinct! My why…ever since I can remember I wanted to have my own business or be a teacher. I started painting out of our garage 7 years ago. It started with a small booth and then grew to a few bigger ones. I did well with it. Sold paints, furniture, and home decor. The store owner was a little jealous of my paint sales. He would confront me several times when I would come in about I’m not bringing in enough furniture or why I started selling a different brand of paint somewhere else. Why I was doing custom orders…you name it he had a beef with me. We did very well there. He just didn’t like that my husband and I had quite a bit of business sense. Anyways, we were in Dallas/Waco on Spring Break and I received my 30-day notice from him. It was a relief and I was upset all at the same time. I had a lot of money invested in products. I moved out and into a flea market situation where it was not good. My paints were getting stolen and sales just were not what they should have been. I did an outside show in September of the same year and was talking to other vendors who were having the same issue I was in places. So on Monday of that weekend, I called about a location in a dying strip mall that my husband and I had run and rode our bikes by for quite some time saying it would be a good location for a store. My husband was so encouraging…he said looks are free. I looked at it found out what the rent was. I asked for a better rate and by the end of the week, we signed our contract. We started out with investing maybe $2500 into the opening. We opened October 18 after a lot of hard working days. Things have changed so much since then I just want to be a place to encourage women they can make a beautiful home. A business owner or teacher…which I feel like I am now doing both. 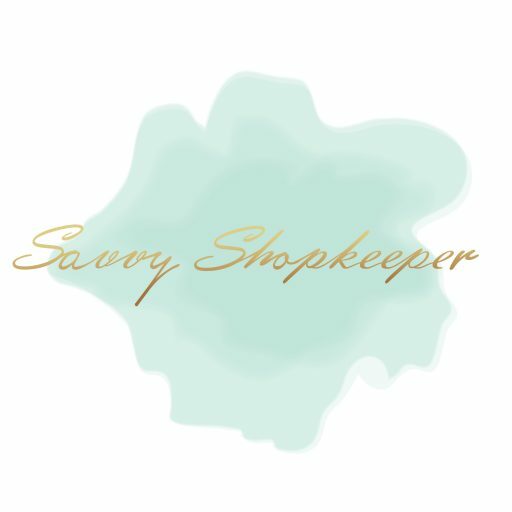 Shopkeeper Spotlight is a bi-weekly feature highlighting shop owners, both brick and mortar and online shop owners are featured. Do you want to be spotlighted? Click here to submit your information.